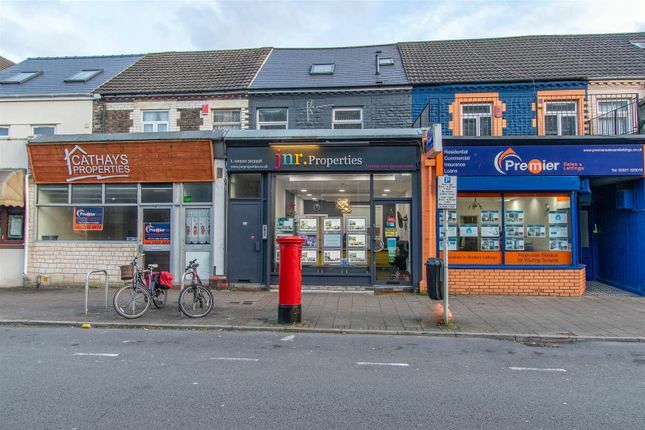 Spacious commercial premises in the heart of Cathays on Woodville Road. This well-presented space offers superb floor area of 722 square feet and is located within walking distance of Cardiff University and the City Centre. Agency Fee: 10% of Annual Gross Advertised Rent, Payable Prior to Commencement of Legalities. Superb premises in the heart of Cathays. Property descriptions and related information displayed on this page, with the exclusion of Running Costs data, are marketing materials provided by Jeffrey Ross Sales and Lettings Ltd, and do not constitute property particulars. Please contact Jeffrey Ross Sales and Lettings Ltd for full details and further information. The Running Costs data displayed on this page are provided by PrimeLocation to give an indication of potential running costs based on various data sources. PrimeLocation does not warrant or accept any responsibility for the accuracy or completeness of the property descriptions, related information or Running Costs data provided here.